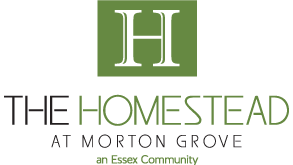 The Homestead at Morton Grove is a rental community for folks 55+. Our intimate community features 82 apartment homes ranging in size from 781 square feet to 1,257 square feet. Call or e-mail us today to learn more about our brand new senior rental retirement community located in the heart of Morton Grove.